Aaaah we finally made it! This place has been on the "to visit" list for a while and what better time to go other than an impromptu mid-week, post-meetings dinner? I tried to think why this place is so popular and I decided that it is a result of social media marketing; the power of insta-celebrities and bloggers. Once the Muzungu Sisters put it on their instafeed for example, next week everybody visiting London was on their way to some lobster galore. The other obvious reason is lobster off course! I love this sudden turn to more affordable seafood and especially lobster in London. Downplay the surroundings, mess around with the idea of a crab-shack turned industrial chic and attract cooler people, at reasonable prices. Makes perfect business sense! he place is easy-going, but I was a bit confused between the rough-looking ceiling and visible ventilation units meeting leather, dinner-style seating and wooden-panelled walls. I see what they were going for, but to me it seemed unfinished. Anyway, it was packed with couples, friends, colleagues...everybody chatting away, merrily. 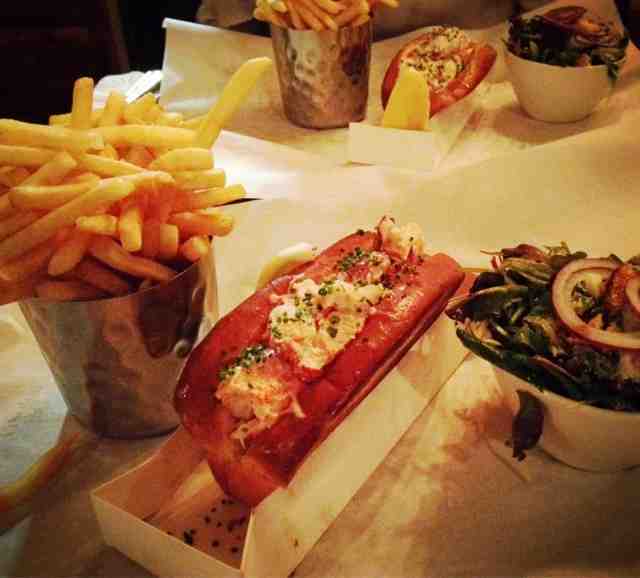 The food was good, three options: burger, lobster or lobster roll, all served with salad and chips, all £20! The funny thing is that we both went for the lobster rolls, but as soon as they arrived we looked at each other thinking...we should have gone for a burger to share too, because the roll didn't look that substantial. 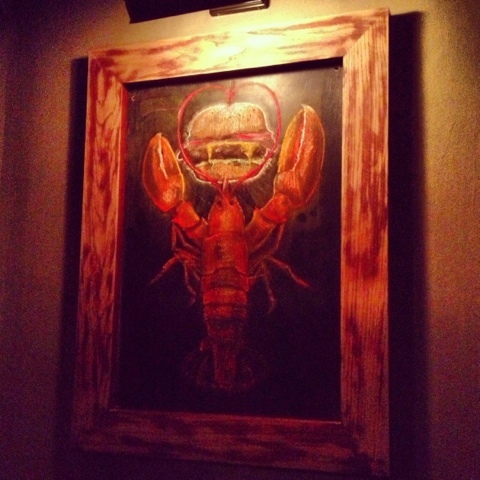 Half way through taking greedy bites out of the brioche roll along with huge chunks of buttery lobster, we reconsidered! It was so filling alongside thin and crispy fries that go down a treat, without even you noticing! It would have been nice if the roll was a bit warmer though; the lobster is steamed and the roll has been toasted before, hence it gets cold very quickly - not that it stopped us from battling it down to the last crumb! 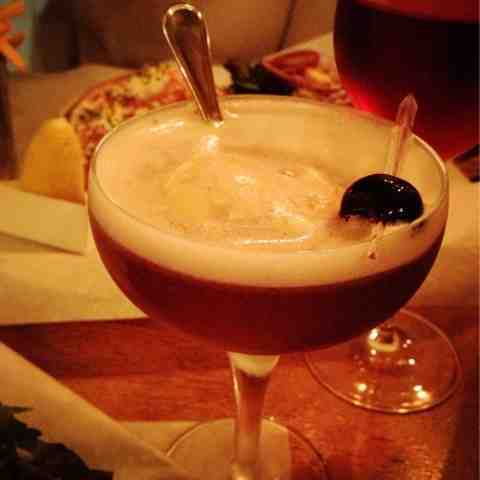 Now, there is one thing I'd happily go back for: cherry float cola with a hint of whiskey! It is old-school , with a hint of vanilla! and for somebody who will normally not touch whiskey, that says a lot!